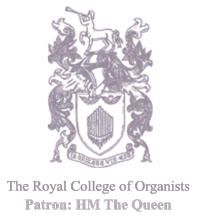 Andrew Cantrill has been elected as a Trustee of the Royal College of Organists. Andrew is Organist & Master of the Choristers at Croydon Parish Church, a large and vibrant parish with a distinguished history of music and four choirs: the Choir of Men & Boys, the Girls' Choir, the Schola Cantorum (a choir for secondary school students) and Croindene (an adult choir). Before this, he served as Director of Music at two overseas cathedrals - the first in Wellington, New Zealand, and the second in Buffalo, NY, USA - and was organist of Grimsby Parish Church in the 1990s. As well as his involvement in church music, Andrew has also worked in arts administration at The Anvil in Basingstoke, taught the organ to undergraduate students in Wellington, and worked as a broadcaster for Radio New Zealand. His career as a concert organist has included recordings, live broadcasts for radio and television in New Zealand and America, and recitals on three continents. Commenting on his election, Andrew said: “I am honoured to have been elected to the Trustee Council of the Royal College of Organists. “In 2014 we will be celebrating the 150th anniversary of the founding of the college, and that makes this an especially exciting time to be a Trustee. “I am passionate about the college's work in education, and I also hope to represent the issues particularly affecting parish musicians. Chairman of the Trustees Professor Graham Barber said: “We are delighted to welcome Andrew to the board of the Royal College of Organists.